After three decades, anniversaries begin to take on a special significance. 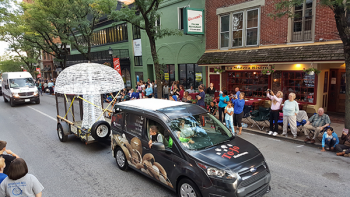 This weekend marks the 33rd anniversary of the annual Mushroom Festival in downtown Kennett Square (http://mushroomfestival.org). Now in its fourth decade, the annual party is expected to draw more than 100,000 festival fans and mushroom lovers. Some of the main attractions are the Amateur Mushroom Cook-off, an Antique and Classic Car Show, the National Fried Mushroom Eating Championship, and a Mushroom 5K Run/2-Mile Walk. On September 7, the Mushroom Festival kicks off with its annual parade. The community parade starts at 6 p.m. at State and Willow streets. Post-parade activities include live music, dining in the borough’s acclaimed restaurants and dancing in the street. On September 8, the festival gets underway at 10 a.m. with the opening of the Street Fair and the Growers’ Exhibit as well as the Painter Mushroom Silent Auction. At 10:30 a.m., it will be time for the Amateur Mushroom Cook-Off in the Special Events Tent at State and Willow Streets. The National Fried Mushroom Eating Championship is scheduled for 3 p.m. in the Special Events Tent. Contestants will be competing for a $1,000 prize by eating the most fried mushrooms in eight minutes. Sunday’s activities begin with the Mushroom Run and Fun Walk at 8:30 a.m. — with registration starting at 7:30 a.m. The Walk goes off at 8:35 a.m. The race begins on South Street in front of Kennett High School, follows Red Clay Creek and passes by a number of mushroom houses. The Soup and Wine Event will be held at 11 a.m. in the Special Events Tent with guests sampling local wines and voting for the festival’s best mushroom soup. Other festival activities include a mushroom soup sale at the Masonic Lodge, a Cute-as-a-Button (Mushroom) Baby Photo Contest, cooking demonstrations in the Culinary Tent, live music on the Community Stage and a visit by 6-ABC’s Katherine Scott (Saturday only). There will also be an “Old-Fashioned Carnival” at 600 South Broad Street across from Kennett High School in the Genesis parking lot from 6-10 p.m. on Friday, 3-10 p.m. on Saturday and 1-6 p.m. on Sunday. Friday is September 7 and that means it is the first Friday of the month. The first Friday of the month is a good time to spend an evening in Kennett Square, West Chester or Lancaster – a time to enjoy special First Friday activities. The event celebrates the local art scene with special activities in the galleries, shops and restaurants throughout town. Many of the town’s businesses and galleries will stay open late for First Friday. 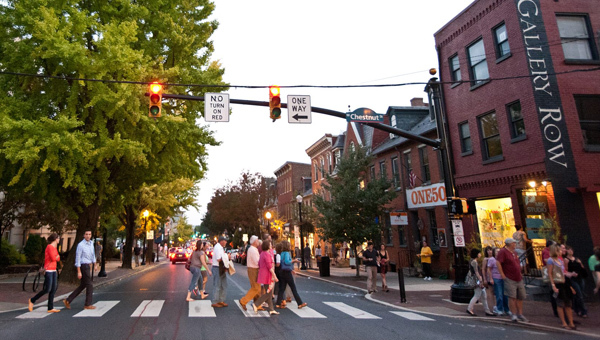 Kennett Square’s Art Stroll is a monthly celebration of the local art scene as it is showcased in the galleries, shops and restaurants throughout town. Residents and visitors alike are encouraged to wander along the tree-lined streets and browse the many businesses that stay open late. Also, on Friday evening, West Chester hosts its version of First Friday (downtown West Chester, http://www.downtownwestchester.com). The First Friday event for this month will be held in downtown West Chester on September 7. First Friday activities, which are held on the inaugural Friday each month, feature great shopping opportunities and delicious food offerings. Stores are open late and many of them feature free refreshments and shopping specials. As an added attraction, there will be free on-street parking after 5 p.m.
Lancaster also has a lively First Friday celebration very month. This month’s edition of First Friday Lancaster (https://visitlancastercity.com/first-friday) will run from 5-9 p.m. on September 7 in downtown Lancaster. One of the area’s most pleasant late-summer events is the annual Barclay Friends’ Secret Gardens of West Chester and Plant Sale (locations in downtown West Chester, 610-696-5211, www.facebook.com/BarclayFriends/). It was formerly known as the Barclay Friends’ Festival of Gardens. 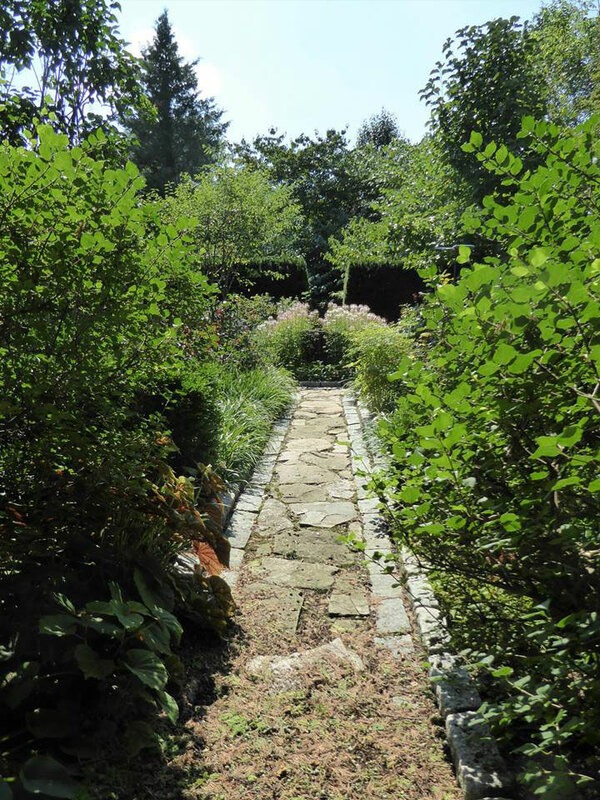 This event is a garden tour that features a variety of scenic gardens created by residents of West Chester Borough. Held in different sections of the Borough of West Chester each year, the Festival of Gardens is annual event that benefits the Barclay Friends’ Horticultural Therapy program. This year, the 14th Annual Festival of Gardens will be held on September 8 from 10 a.m.-3 p.m.
Gardens range from tiny courtyards to an elegant estate property. In addition to the gardens, the event is including the newly established Barclay Park (site of the original Barclay Home) with its interesting selection of mature trees, the courtyard of the West Chester Public Library designed by noted architect T. Roney Williamson, and the historic West Chester Golf and Country Club’s garden. The gardens are clustered in two areas, with ample on street parking. Guests may choose to either walk all or part of the tour, or drive from one area to another. There will be a food truck at Barclay Park for light lunch and a food truck located at Barclay Friends (700 North Franklin Street) during the duration of the tour. In addition, there will be a plant sale at Barclay Friends from 10 a.m.-3 p.m.
Tickets are not required for the plant sale and refreshments. Tour tickets are $25 in advance and $30 on the day of the event. All proceeds support Barclay Friend’s Horticultural Therapy Program. 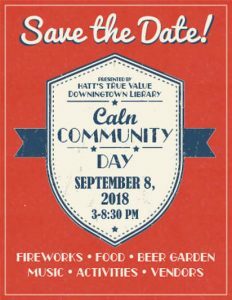 On September 8, it’s time for the 12th annual Caln Community Day (253 Municipal Drive, Thorndale, http://www.calntownship.org/community-day.html), which is part of the celebration of Caln Township’s 150th Anniversary. The event will be held in Municipal Park and on G.O. Carlson Blvd in Thorndale on Saturday from 3-8:30 p.m. The popular annual fair will feature vendors, food, a beer garden and a wide array of family activities including a mini golf course, moon bounces, a pie-eating contest, an escape room, and an obstacle course. There will also be live music by Project-X. Community Day will also feature a golf ball drop. Up to 1,000 balls will be dropped from a ladder truck with closest to the pin winning $1,000 and second closest winning $500. This year, you need not be present to win. Tickets are available for purchase at the Municipal Building or Ingleside Golf Course. 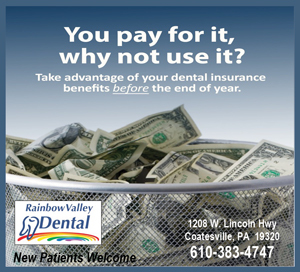 The grand finale will be a spectacular fireworks show sponsored by Brandywine Hospital. From September 7-9, the 22nd Annual Radnor Hunt Concours d’Elegance will be held on the grounds of Radnor Hunt (826 Providence Road, Malvern,www.radnorconcours.org). This year’s event will feature Rolls Royce and Bentley, European Style/American Power and Fastbacks. The featured motorcycles classes are Indian Motorcycles (1902-1953), Italian Motorcycles (1938-1988) and Superbikes (1970-1993). The event also includes horse drawn coaches and carriages which illustrate the evolution of wheeled transportation. 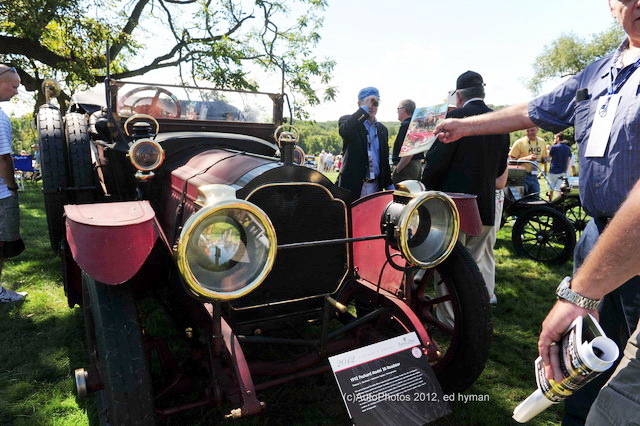 The Radnor Hunt Concours d’Elegance features three days of activities beginning with the Friday evening barbecue, followed by the always popular road rally through the scenic countryside of Chester County on Saturday morning, culminating in a catered lunch. The Saturday evening “Black Tie Gala, Silent Auction and Art Show Preview” is the prelude to the main event, the Concours d’Elegance on Sunday. Each year, the concours event, an invitation-only show, has a featured marque, a vehicle type or coachbuilder and a motorcycle make. The event also includes Motorsport Park, providing local marque car clubs the opportunity to gather in an exclusive parking area close to the show field entrance on Sunday, as well as a Cars & Coffee gathering on Saturday concurrent with the road rally. The Marketplace area features a variety of both automotive and non-automotive merchants offering specialized shopping for concours attendees. Adult admission is $50 at the gate, and admission for youth (ages 12-18) is $25. Admission for children (under 12) is free with paid adult admission ticket. Proceeds from the event will benefit Thorncroft Equestrian Center in Malvern, Pennsylvania. The Thorncroft Equestrian Center is committed to a mainstreaming approach for teaching horseback riding and to promoting the development of new and independent therapeutic riding programs, particularly for those with special needs. The “Sunflower Hayride Adventure” will be held September 8, 9, 15 and 16 at Hurricane Hill Farm (704 East Reeceville Road, Coatesville, https://hhfmaze.com/). From 10 a.m.-6 p.m. each day, visitors will be able to enjoy a scenic hayride out to Hurricane Hill farm’s four-acre sunflower field. The sunflowers will be in full bloom and perfect for photo ops and a stroll through the field. Additionally, the Football Maze and other attractions will be open all four days. Now through September 9, the Broomall Fire Company is hosting its 2018 Carnival (Malin Road and West Chester Pike, Broomall, 610-353-5225,http://www.broomallfirecompany.com/pages/carnival.html) — an old-time country fair put together by Majestic Midways. The event features free admission but there is a cost for the rides. Individual tickets $1.50 each and are sold in quantities of two tickets. Riders can purchase a block of 24 tickets for $25 or a block of 54 tickets for $50. The carnival is scheduled to get underway on September 7 at 6 p.m. and run until 11 p.m. 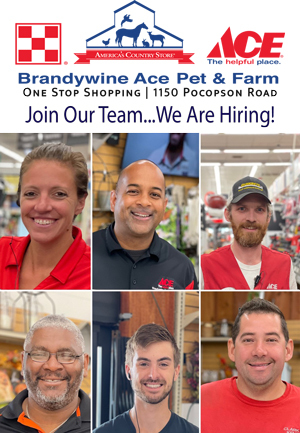 Hours for Saturday are 3-11 p.m. and then the event will be open from 1-6 p.m. on Sunday. Majestic Midways, which is based in York, has been providing amusement rides and games for carnivals for 105 years. Some of the company’s more popular rides are Ring of Fire, Century Wheel, Kite Flyer, Raiders, Monkey Mayhem, Super Shot and Himalaya. The Ninth Annual Phoenixville Blues Festival will be held on September 8 at Phoenixville’s Bandshell (Reeves Park, Main Street and Second Avenue, Phoenixville, http://pvilleblues.org). The festival will run from noon-10 p.m. The schedule for the 2018 festival is: 12:15-1:15 p.m., Sister Blue; 1:30-2:30 p.m., Charlie Wheeler band; 2:30-3:30 p.m., Tommy Froelich Band; 3:30-4:45 p.m., Gary Cain Band; 4:45-5:15 p.m., Vocal Fusion/Anthem; 5:15-6:15 p.m., Greg Sover Band; 6:15-7:30 p.m., Chris Antonik; 7:30-8:45 p.m., Noah Wotherspoon; and 8:45-10 p.m., Dave Fields. The event, which will be held rain or shine, is free and open to the public. The Binky Lee Preserve (1445 Pikeland Road, Chester Springs, https://natlands.org) will host Beats and Brews on September 8 from 6-9:30 p.m. The event will be a late-summer evening filled with live music and craft beer in support for the Campaign for Bryn Coed Farms and Binky Lee Preserve. All ticket-holders receive two free beers. Additional beer will be available for purchase, along with light dinner fare from an on-site food truck. 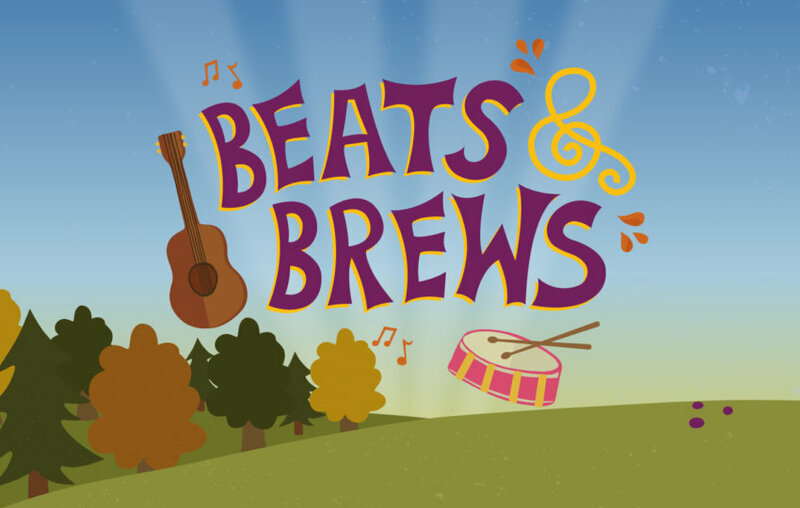 Proceeds from Beats and Brews are an important part of community fundraising to preserve nearby Bryn Coed Farms, Natural Lands’ newest property, as well as restoration projects and improved amenities at Binky Lee. More brews in a festive outdoor setting can be found at the Historic Odessa Brewfest (202 Main Street, Odessa, Delaware, 302-378-4119,http://www.odessabrewfest.com). The Fifth Annual Historic Odessa Brewfest, which is being presented by the Historic Odessa Foundation and Cantwell’s Tavern, is slated for September 8 from 2-6 p.m.
America’s thirst for ale and beer began with the earliest colonists who made it a priority to first build a brewhouse on the site of their new settlements. As drinking water was avoided like the plague, beer was a major dietary staple in the colonies, consumed by everyone from cradle to grave. Joining the festivities again this year will be colonial re-enactors, Rich and Linda Wagner. In full period dress, the Wagners will make beer on site using historically accurate methods and materials — copper kettles, wooden barrels, hops and grains. There will be an array of tasty locally-produced food served at Cantwell’s, which is a farm-to-table gastropub. Approximately 60 local and national breweries are participating. Delaware’s growing craft brewery scene will be well represented with 15 breweries participating, including, 3rd Wave, 16 Mile, Bellefonte, Big Oyster, Blue Earl, Brick Works, Crooked Hammock, Dogfish Head, Fordham & Dominion, Midnight Oil, Mispillion, Revelation, Stitch House, Twin Lakes, and Volunteer. Live musical entertainment will be presented on two stages. Performing at this year’s Brewfest will be local reggae act Spokey Speaky, acoustic jazz and blues artist Bruce Anthony, solo performer Tony Mowen, and the modern country band A Different Breed. All attendees have access to food and merchandise vendors, live bands, sponsor tables, and more during the entire event. Doors open at noon for the VIP Tasting and the regular fest is slated to start at 2 p.m. All taps will close at 6 p.m. General admission tickets are $55 ($15 for designated driver). 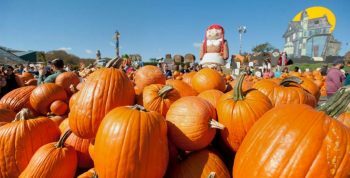 September 8 is the opening day for “Pumpkinland” (Linvilla Orchards, 137 West Knowlton Road, Media, 610-876-7116, www.linvilla.com). 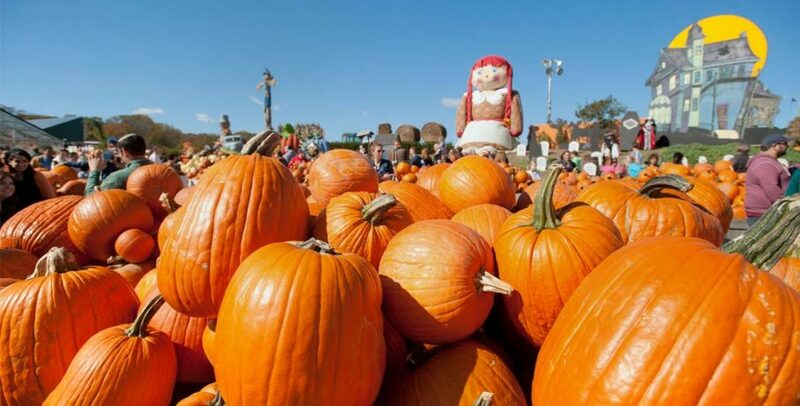 “Pumpkinland,” which runs through November 4, features fairy tale characters from nursery rhymes along with a huge scarecrow and a really tall storybook. Other activities include train rides, a straw bale maze, hayrides, pick-your-own apples and pony rides. Another attraction, which runs from September 22-October 30, is “Hayride to the Witch’s House.” Admission is free, and hayrides are $6 per person. There will also be “Harvest Hayrides” and “Autumn Moon Hayrides” starting later in September. The annual Brandywine Festival of the Arts (North Park Drive, Wilmington, Delaware, 302-363-5955, www.brandywinearts.com) has been one of the most popular late-summer events in northern Delaware for a long, long time. The 58th annual two-day staging of the arts-and-crafts festival is slated for September 8 and 9 at its usual location in Brandywine Park’s Josephine Gardens along the banks of the Brandywine River in Wilmington. Tickets are $5 for adults with children (under 12) admitted free. As always, the festival is a juried event that brings more than 250 artists and crafters from more than 15 states to Josephine Gardens to exhibit and sell their work. The list of featured categories includes mixed-media, clothing, bears, stoneware, watercolors, lamps, ironwork, herbs, bonsai, wood type, glass, acrylic, weaving, stenciling, pastels, scarves, etchings, photography, sculpture, jewelry, raku, and leather. There will also be vendors offering a wide variety of food items at the festival, which is scheduled to run from 10 a.m.-6 p.m. on Saturday and 10 a.m.-4 p.m. on Sunday. Live entertainment will be featured both days. Performing at the festival are Hannah Dale, Jessica Graae, Mike McDevitt, Clark Cummins, Jodi Elizabeth, Alex O’Brien, Charis Latshaw, Marielle Kraft, Pristine Raign, Foxgloe & Firebrand, The Hobo-Syle and Shane Palko. Greenfest Philly (Headhouse Square, Second and South streets, Philadelphia, http://cleanair.org/greenfest), which will be held on September 9 from 10 a.m.-4 p.m., is the largest environmental festival in the Philadelphia area. With more than 150 exhibitors and vendors, Greenfest is the place to learn about living sustainably while having fun. Since 2006, this popular event in early September provides a unique opportunity for 10,000-20,000 attendees to learn how to live life a little greener and healthier. The festival’s multitude of vendors, local businesses, supporters and sponsors help transform Headhouse Square into a festive, fun and educational outdoor marketplace. This event has something for everyone including shopping for local green wares, great food, live music, live demonstrations, and kid-friendly activities. In 2015, Greenfest Philly was voted “Best Family Event” by Everything Philly. The festival is free to attend, and all are welcome. South Philly will be celebrated on June 9 when the Yo’ South Philly Phestival takes place at St. Richard’s Schoolyard (18th and Pollock streets, Philadelphia,https://www.facebook.com/events/273905819474725/). The festival, which features free admission and fre parking, will feature tasty South Philly food, family fun activities, live music and games. The entertainment line-up has Charlie Gracie as the headliner and also includes The Business, Tony Mecca & the Heavy Mental Gypsies, Sugar Rush Rocks, Benny Marsella, Gabby Delisi, Felicia Punzo, Justin Gonzalez, Retro 5, Carmine Yusko and The E.G. Band. DJ Johnny Looch will be broadcasting live from 10 a.m.-midnight on loochradio.com. This year marks the fifth annual staging of the popular event. For those of you with a sense of adventure rather than a sense of modesty, September 8 is the date of the 10th Annual Philadelphia Naked Bike Ride (https://philadelphianakedbikeride.wordpress.com/). Starting at 5 p.m., riders in the buff will take the streets again to promote a clean earth, conscious fuel consumption, cycling advocacy, and body positivity. Directions and more details can be found by following Philly Naked Bike Ride’s official social media sites on Twitter, Instagram, and Google+. Now through September 9, the Philadelphia Honey Festival (https://phillyhoneyfest.com/) will feature three days of free, bee-related activities at three locations in Philadelphia – September 7 at Glen Foerd on the Delaware (Grant Avenue and Minor Street, Philadelphia), September 8 at Wyck Historic House/Garden/Farm (6026 Germantown Avenue, Philadelphia) and September 9 at Bartram’s Gardens (5400 Lindbergh Boulevard, Philadelphia). The mission of the Philadelphia Honey Festival is to raise awareness about the importance of honey bees to our environment, our food supply and our economy, and to promote urban beekeeping and gardening. You can see the marker at 106 South Front Street in Philadelphia, his birthplace. Visitors to the festival will be able to learn about the importance of bees in our ecosystem through honey extraction demonstrations, hive talks and other programming designed to explore at the hard-working insect that supports our food supply. When summer winds down, it means that the area’s many ethnic festivals are looming on the horizon. This weekend, the list of options includes German, Brazilian, Ukrainian, Indian, Greek, Latin American and Polish. The 80th annual Bucks-Mont Oktoberfest will be held on September 8 at the Vereinigung Erzgebirge (130 Davisville Road, Warminster, http://veclub.org/oktoberfest). The event, which runs from 11 a.m.-10 p.m., will features German beer and food along with music by German-American bands. 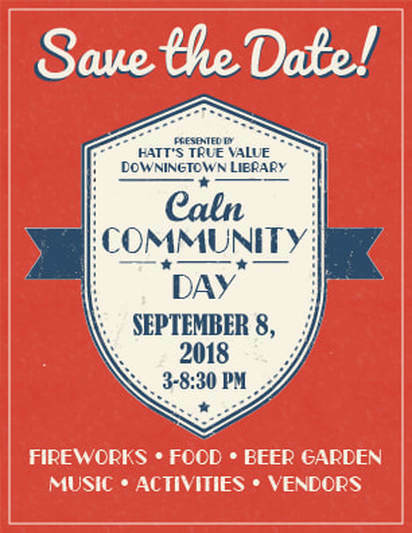 There will also be a wide array of family activities including a moon bounce, arts and crafts, face painting, hayrides, an obstacle course and a full slate of soccer games. Live music will be performed by Willi Aust, Don Bitterlich and The Philadelphia German Brass Band. The Fourth Annual Indo American Shopping/Cultural Fest will take place on September 8 at Montgomery School (1141 Kimberton Road, Chester Springs, https://www.facebook.com/allthingsindiancc). The Indo American fest, also known as “Desi Mela,” will feature a wide array of vendors, kids’ activities, Henna booths, and Bollywood music. There will also be a variety of mouth-watering food from India. The event, which is being presented by All things Indian Chester County, will run from 11 a.m.-4 p.m. and features free admission. The Fall Grecian Festival 2018 (St. Sophia’s Greek Orthodox Church, 900 South Trooper Road, Jeffersonville, 610-650-8960, www.saintsophiachurch.org) runs now through September 9 with a wide array of tasty Greek treats such as souvlaki, shish-ka-bob, moussaka, pastitsio and gyros and baklava. Other activities include midway rides, vendors with crafts and Greek items and live Greek music. The free festival is open from 11 a.m.-9 p.m. on Friday and Saturday and from noon-7 p.m. on Sunday. On September 9, visitors to the Great Plaza at Penn’s Landing (Delaware Avenue, Philadelphia, www.delawareriverwaterfront.com) will be able to celebrate Brazilian Independence Day during Brazilian Day Philadelphia. With dancing, music, food and souvenirs, this free, family-oriented event will focus on the best of Brazilian culture. From 1-7 p.m., the Great Plaza at Penn’s Landing will be transformed into a Brazilian street fair. The annual festival showcases Brazilian dance and music styles such as samba, capoeira, forro, pagode and samba-reggae. There will also be a wide array of vendors will be selling Brazilian merchandise and traditional cuisine such as Feijoada and Polenta. Brazilian Day Philadelphia is the celebration of the Brazilian Independence Day — the day that Brazil formally withdrew from Portugal just under two centuries ago. The mission of Brazilian Day Philadelphia is to celebrate the wonderful culture and traditions of Brazil and to share with the public the diverse ethnic heritage that makes Brazil unique and rich in cultural pride. On September 8 and 9, the Ukrainian Food and Culture Festival will be held at St. Michael The Archangel Ukrainian Catholic Church (1013 Fox Chase Road, Jenkintown, 1013 Fox Chase Rd, Jenkintown, http://mykhailivka.org/). One of the largest Ukrainian festivals in the United States, it celebrates Ukrainian heritage, ethnicity and lifestyle on 16 acres of beautiful countryside located in Jenkintown. Enjoy non-stop entertainment with Ukrainian performers from the Greater Philadelphia area. On Saturday night, there will be dancing at the evening ‘zabava’ the music of the band Relax. There are plenty of fun activities for the little ones including a Bounce House and Photo Booth. Visitors will be able to enjoy Ukrainian dishes such as “varenyky,” pieorgies, “holobtsi” along with other delicious traditional food. 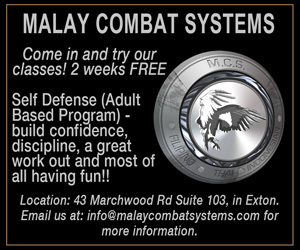 This is a rain or shine event that will run from 3-11 p.m. on Saturday and noon-6 p.m. on Sunday. On Saturday, admission is $15 — $10 if wearing Ukrainian embroidery. On Sunday, admission is free. The Latin American Cultural Center of Lancaster presents its Fifth Annual Latin American Festival September 8 and 9 at Lancaster’s Binn’s Park (North Queen Street, Lancaster, www.lancasterlacc.org). The event, which will run from 2-9 p.m. on Saturday and 2-8:15 p.m. on Sunday is an original Latin American festival featuring an entire day of music, dancing, culture and food. There will also be live entertainment from several Latin American countries including the Mexican group Mariachi Flores and the salsa band Los Fantasticos. The festival is suitable for people of all ages and attendance is expected to again reach or surpass 10,000 people. The festival begins in Binn’s Park at noon with food and merchandise vendors set up along North Queen Street. In addition to the live music from local and international talents, there will be face painting, piñatas and balloon twisting for the children. The Latin American Cultural Center of Lancaster (LACC) is an established, non-profit organization that promotes the rich and diverse Latin American culture in Lancaster County. Admission to the festival is free. The 53rd Annual Polish Festival the National Shrine of Our Lady of Czestochowa (654 Ferry Road, Doylestown, 215-345-0600, www.czestochowa.us) is being held on September 8 and 9. Visitors to the festival will be able to feast on such Polish delicacies as kielbasa, pierogis, placki, holubki and chruschicki. The festival will feature rides, games and a full slate of Polish music and polka bands. The roster of live entertainers includes Jimmy Sturr, Ojczyna Polish Folk Dancers, Little Circus, DJ Grzegorz, Polish American String Band, and Korona. Admission is $12 per person. There is another reason to make Doylestown a destination this weekend. On September 8 and 9, the downtown area of Doylestown will be the site of the 27th Annual Doylestown Arts Festival (www.doylestownartsfestival.com, 215-340-9988). It will be a weekend of original arts and crafts, live music and diverse food. The two-day festival features more than 160 artists showcasing their creative works. Selections include paintings, photography, jewelry, wood and metal work, furniture, pottery and more. There will be five stages of live music and various activities featured throughout town. A variety of dining options are available at the festival’s food court and at the restaurants that line the streets. The annual festival features free admission. The Pennsylvania Renaissance Faire (Pennsylvania Renaissance Faire Shire, Mount Hope Estate and Winery grounds, Route 72, Cornwall, 717-665-7021,www.parenfaire.com) is hosting its “Wizarding Weekend” on September 8 and 9. From 11 a.m. until 8 p.m. each day, the huge faire will be dedicated to wizard fans – youngsters and adults. Whether you have the gift of magic or enjoy life as one who is unaware of the sorcery surrounding us, this weekend is sure to enchant all visitors to the Shire. Nipperkins are invited to the Avalon Hill Stage for a chance to work their magic by decorating a wand. For those 18 and older, there will be the Horcrux Scavenger Hunt. Participants will try to gather all five horcruxes and deliver them to a Ministry representative. There will be “Quidditch Demonstrations” conducted by Franklin and Marshal College’s Quidditch Club. Quidditch practices the fine art of running with a broomstick, throwing a volleyball through hoops and peggin’ people with dodgeballs. The event also includes “Royal Dog Days.” His Majesty has issued an invitation to the lover of dogs to join him and the Royal Hounds upon the Fairegrounds on this special weekend. Admission is $31.95 for adults and $12.95 for kids ages 5-11. If you’re looking for something very different to do on this late-summer weekend, consider attending the annual Whoopie Pie Festival at Hershey Farm Restaurant & Inn (240 Hartman Bridge Road, Route 896, Strasburg, 717-687-8635, http://whoopiepiefestival.com). The Whoopie Pie Festival, which is billed as “The Most Delicious Day in Lancaster County,” features more than 100 different Whoopie Pie flavors. It will be held this year on September 8 from 10 a.m.-4 p.m. According to food historians, Amish women would bake these tasty desserts and put them in farmers’ lunch pails. When farmers would find the treats in their lunch, they would shout “Whoopie!” It is likely that the original Whoopie Pies were made from cake batter leftovers. Scheduled events at the 2018 festival are Whoopie Pie Treasure Hunt, Whoopie Pie Race, Whoopie Pie Launch, Whoopie Pie Checkers, Whoopie Yell Off, and Amateur Whoopie Pie Eating Contest. Visitors will also be able to watch when the festival’s Whoopie Pie makers attempt to produce the “Largest Whoopie Pie Ever Made.” Other events throughout the day include Whoopie Pie making for kids, face painting and bounce house fun. The event features free admission. Rain date is September 9. The weekend after Labor Day always features the Hay Creek Festival at Historic Johanna Furnace (Route 10, Morgantown, 610-286-0388, www.haycreek.org). The well-attended Berks County festival, which is an authentic traditional arts and crafts show that is celebrating its 42nd anniversary, is also an event that gives visitors a chance to have a look back at the area’s historical development. This year, the festival, which runs now through September 9 from 10 a.m.-5 p.m. each day, will have a number of special festival areas, including Charcoal Barn, Casting House, and Festival Food Court (early American and contemporary). Other areas are Early American Crafts, Engine and Mechanical Technology, a Civil War Encampment, Open Hearth Cooking Demonstration, Home Craft Marketplace and the Historic Joanna Furnace Iron Plantation Complex. Festival attendees can shop in the Early American Crafts area for such items as fabrics, jewelry, folk art, pottery, woodworking, leather, dried flowers, woodcrafts, Windsor chairs, stained glass and hand-woven rugs. The Craft Market will feature handmade redware pottery, candles and hand lotions, gourd birdhouses, soaps, wooden toys and bowls, handbags from vintage fabrics, quilted items and unique jewelry. The Mechanical Technology area presents vintage working equipment, including a model steam blower engine and a display of pedal tractors. Hundreds of antique cars, tractors, and hit n’ miss engines are on display and will parade the festival grounds throughout the weekend. There will also be daily demonstrations of sawmilling, shingle milling, grain threshing and water ram pumps. Other activities include live entertainment, storytelling sessions, musical jam sessions and a variety of hands-on activities for children. Tickets for the festival are $10 for adults and $2 for children (ages 6-12). On September 8, “Wings N’ Wheels” will be held at Wings Field (1501 Narcissa Road, Blue Bell, https://angelflighteast.org). The event, which runs from 11 a.m.-4 p.m., is a family-fun day of wings, wheels and aviation history including unique displays of vintage and military aircraft, new planes and classic and antique cars. Sightseeing flights, great food, music and a variety of children’s activities will also be featured. Admission for adults is $8 in advance or $10 at the door; and $5 for children ages 10 and under. Parking is free! All admissions fees are tax-deductible and will directly support the mission of Angel Flight East. Angel Flight East facilitates free air transportation for seriously ill patients who require medical treatment far from home and delivers supplies to disaster areas and reunites families in desperate times. There will be several featured attractions this weekend at the Morris Arboretum (100 Northwestern Avenue, Chestnut Hill, 215-247-5777, www.morrisarboretum.org). On September 8 and 9, Morris Arboretum’s Garden railway will welcome special guests. Thomas the Tank Engine will arrive to celebrate the summer weekend with his multitude of fans – young and old. Visitors to the arboretum can look for their favorite train characters among the whole steam engine gang from Sodor as they take over the Railway for the weekend. If you’re up with the sun, you can start your day with an early morning visit to Morris Arboretum. Starting at 8 a.m., visitors are invited to find the shining dew on more than 12,000 labeled plants in the Arboretum’s living collection. Admission is $19 for adults; $17 for seniors (65 and older); $10 for students (ages 13-17 or with ID), active military and retired military; and free for children (under 3). Visitors will be able to peruse a curated collection of unusual antiques, assorted oddities, vintage items, artwork and handmade wares at this outdoor market of the macabre. Taking place in the most fitting of venues — a 182-year-old Victorian cemetery – the event allows visitors the opportunity to explore their morbid curiosity as well as Laurel Hill’s scenic grounds and rich history. The event, which will run from noon-5 p.m., will include food and beer for purchase from local vendors. Victorian and/or Steampunk attire is encouraged. The entrance fee is $5 per person. Only cash will be accepted at the door.